Mark Hamill attends the Star Wars: The Last Jedi panel during the 2017 Star Wars Celebration at Orange County Convention Center on April 14, 2017, in Orlando, Florida. He's played Luke Skywalker and the Joker, but Mark Hamill has one role he'd like to add to his resume: That of "Star Wars" creator George Lucas. The actor said Sunday that he would love to play Lucas in a movie about his life when a fan at the Star Wars Celebration event in Orlando, Florida, asked him what role he'd like to play. 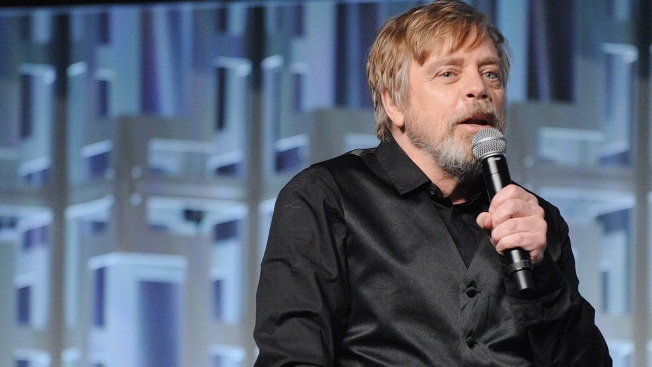 Hamill's voice was in rough shape after four days at the fan event but he still managed to affect a solid impression of his former boss. During the one-man panel Hamill also recounted stories about Harrison Ford advising him not to ask permission ad-lib during filming and how he and the late Carrie Fisher once sneaked into a theater to see the 1977 "Star Wars" trailer.